The harsh arctic climate and extreme North Sea weather conditions make training novice crew in real situations impractical and dangerous. 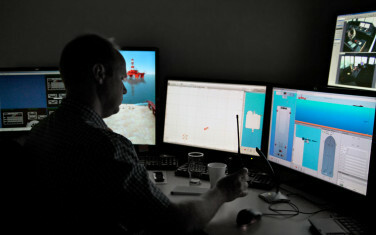 Therefore, Kongsberg Maritime have developed the most advanced training simulator currently available for the offshore sector. The Konsgberg Simulation instructor station where the instructor can change scenarios, weather conditions and the tasks that the crew are training on. 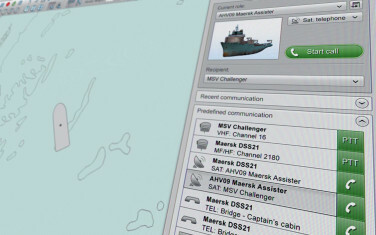 Kongsberg Simulation is designed to support all seafaring operations and test procedures, and increase competence in order to minimalize errors. Instructors can effortlessly create all thinkable scenarios, resulting in highly accurate simulations. EGGS went to great lengths to deliver a comprehensively thought through interactive design for the user-interface of the instructor station. Key has been to develop an operating station that allows instructors to easily plan, monitor, control and evaluate student exercises.